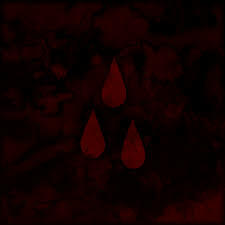 I don'?t believe that I can stay here and watch them vilify my blood. I don't believe that you are with me. It's so beneath you, gazing up. I won't kneel. I won?t bow. If you're there now strike me down. And I won't serve anyone. And I don't serve anyone, anyone. Deep in my heart, a disbeliever only inviting in the truth. You're in my heart, my disbeliever, as holy horror crushes you. I don't believe that I can stay here and watch them vilify my blood. I don't believe that I can stay here and watch them vilify your love, my love. I won't kneel. I won't bow. If you're there god strike me down. Strike me down. You won't.